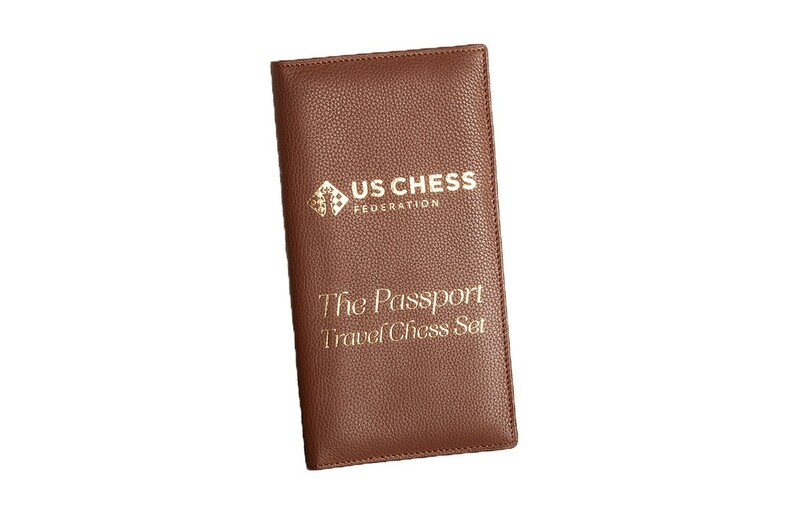 The Passport Travel Tab Chess Set has returned! 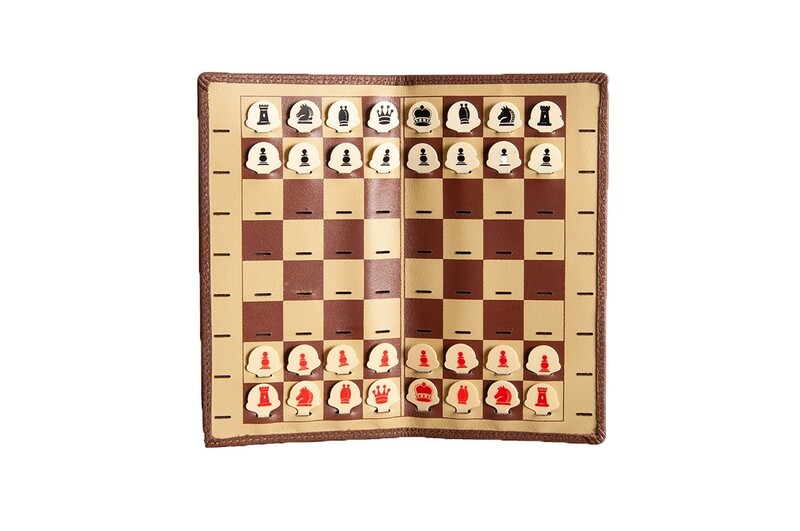 This highly portable chess set features leather tab pieces that fit into the soft leather chessboard. The backside of the chessboard features the US Chess Federation logo in gold stamping. It comes with two cloth pouches. One to hold the passport itself, and a smaller pouch to hold the tab pieces.